When the recession hit, so many great America cities lost their footing. We saw it happen here in Sacramento and watched as similar stories took shape across the nation. Detroit's story, however, was one that I had been hearing about long before foreclosures, balloon payments and bailouts became part of our daily lives. To put it simply: Detroit has been put to the test for decades. Yet, I recently had a chance to visit the Motor City on a press trip for Clementine Daily and Buick and I must say: the energy we found in Detroit is unmistakable. You can see the pride in people's eyes as they talk about their city. Investors are making moves to return downtown to its former glory; businesses, both large and small, are choosing to set up shop in Detroit; and the companies that have been there all along are picking themselves up, dusting themselves off and rising to the challenge. While there's still so much work to be done and the city will have to move forward with all residents in mind (as all cities should), I truly believe that Detroit is one to watch. If you've never had a chance to visit, go. Go now. I, for one, am already plotting my return. This post was made possible by my friends at Clementine Daily and Buick. Many thanks to them for the opportunity. And thank YOU for allowing me to share and for supporting the partnerships that make experiences like this one a reality. All opinions, feelings of gratitude and adventures gained are, of course, genuine and my own. My first article for Clementine Daily (here) noted the importance of finding your tribe while stretching yourself to reach the big milestones and lofty goals in life. When I wrote that piece, I was just beginning to truly understand what it meant to embrace your tribe. I had slowly started reaching out in an effort to surround myself with likeminded people here in the Sacramento region and was desperate to connect with others who just get it. Little did I know that seven months later I would be road tripping, shopping, sightseeing and lounging with a group of women who—aside from not living locally—completely fit the bill of said tribe. We all flew in from various locations across the country with our own backgrounds, stories and goals, but the simple act of gathering and engaging in utterly honest conversations made me realize I had also been acquiring a tribe from afar. Each woman on the team is working to live the best life possible while cutting themselves (and those around them) a little slack. If that's not a big, lofty dream worth working towards, I don't know what is. I'm so grateful for the efforts of Erin and Amanda, who worked with the lovely folks at Buick to make it all happen. 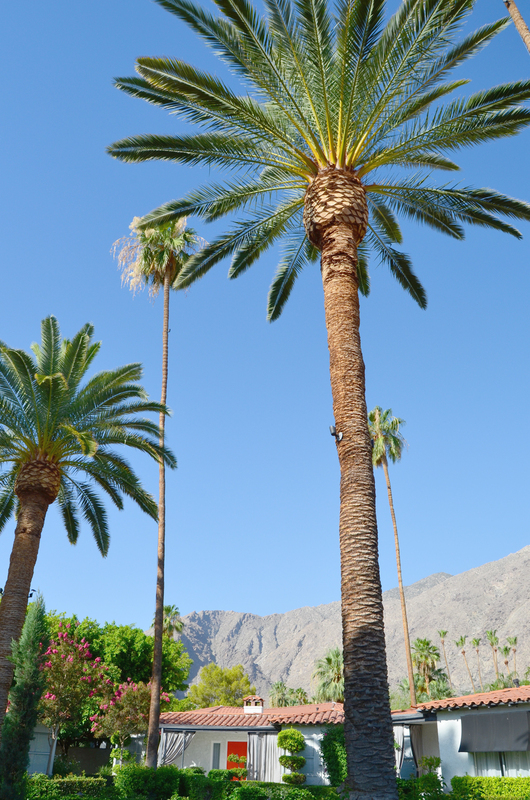 As I mentioned last week, I pretty much fell in love with Palm Springs during our short stay and cruising around in some seriously nice cars didn't hurt one bit. I spent most of my time (both as driver and passenger) in the Buick Encore and I must say—I could get used to owning a luxury crossover! I have a long line of ownership stories that include very few bells and whistles. These cars, however, offer all of the good stuff. The incredible safety features, like the side blind zone alert, were key as we attempted to navigate Los Angeles traffic on our way to Palm Springs and I loved how quiet the cars were. My current ride comes with a side of road and engine noise that I can't seem to shake, so Buick's QuietTuning made for a nice ride—perfect for enjoying the amazing sound system (and conversations, of course!). I could completely see me and my husband cruising an Encore up to the mountains for a little snowboarding and snowshoeing action. The rear seats fold down for more storage space and the ability to connect with both Bluetooth and USB is great for all of our techie habits... which means it would also be a perfect car for one of our long road trips. Can you tell I'm sort of sold? Here's to saving our pennies! 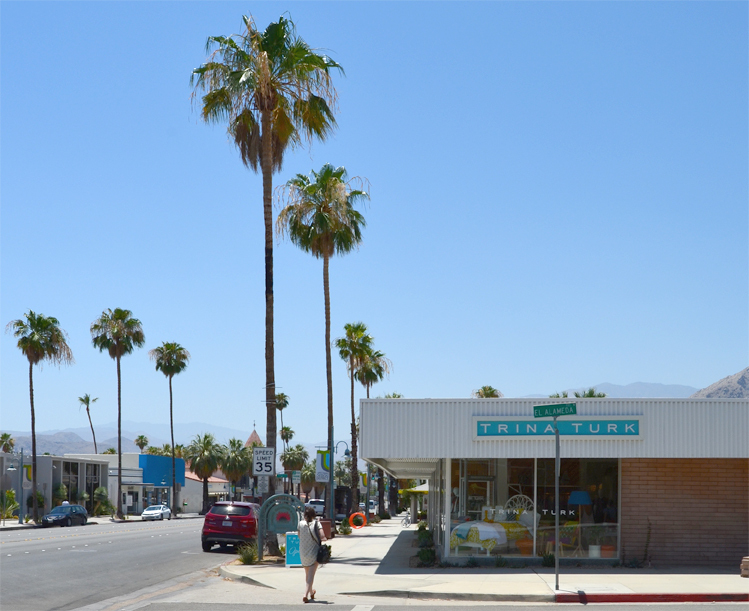 Both the Encore and the Enclave were also the ultimate air conditioning break while we were out sight seeing and shopping in Palm Springs. 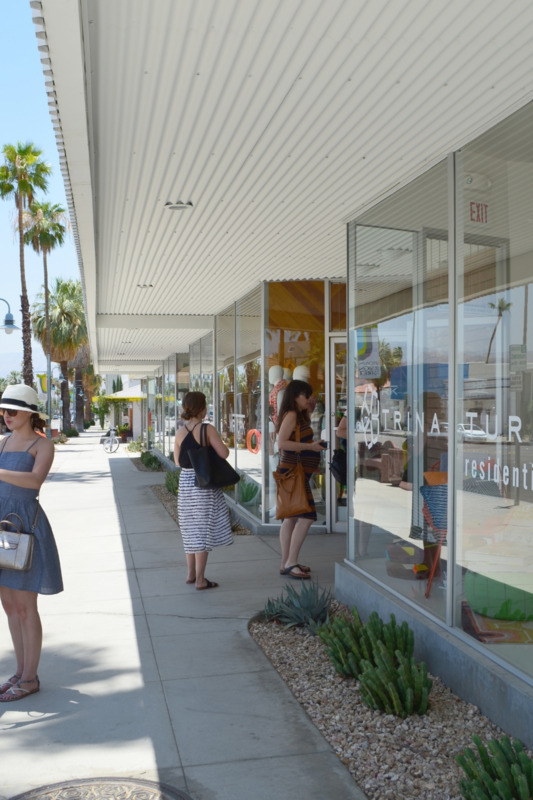 Trust me when I tell you that we spent a fair amount of time touring neighborhoods, thrifting and ooohing and ahhhing over just about everything in Trina Turk. We also spent a leisurely morning grabbing breakfast at The Ace Hotel, which has long been at the tippy top of my bucket list. While I'd still love to come back and stay, I can't say enough about the delicious food, kind staff and amazing grounds. Thank to my friends at Bourbon & Goose for the tip about feasting at King's Highway! While cruising around with the gals and experiencing everything Palm Springs has to offer was fabulous, I think I felt most fulfilled hanging around the pool at The Viceroy Hotel chatting about life. I have to tell you—The Viceroy is top-notch, you guys, and was the perfect setting for connecting with friends. I can't wait for a chance to return. Truth be told, experiencing everything under the bright, palm tree-filled skies with the ladies of Clementine Daily was the best gift of all. Thanks again to Buick for giving us the opportunity to tick some bucket list boxes in the middle of the desert. I'm not sure we could have asked for a better celebration of hard work, individuality and common goals. If you're interested, you can see more of our adventures over on Instagram under the hashtags #buickbucketlist and #clementineretreat. So tell me friends: what's on your bucket list? Experiencing adventure? Making connections? Time with friends? Let's dream together for a bit!